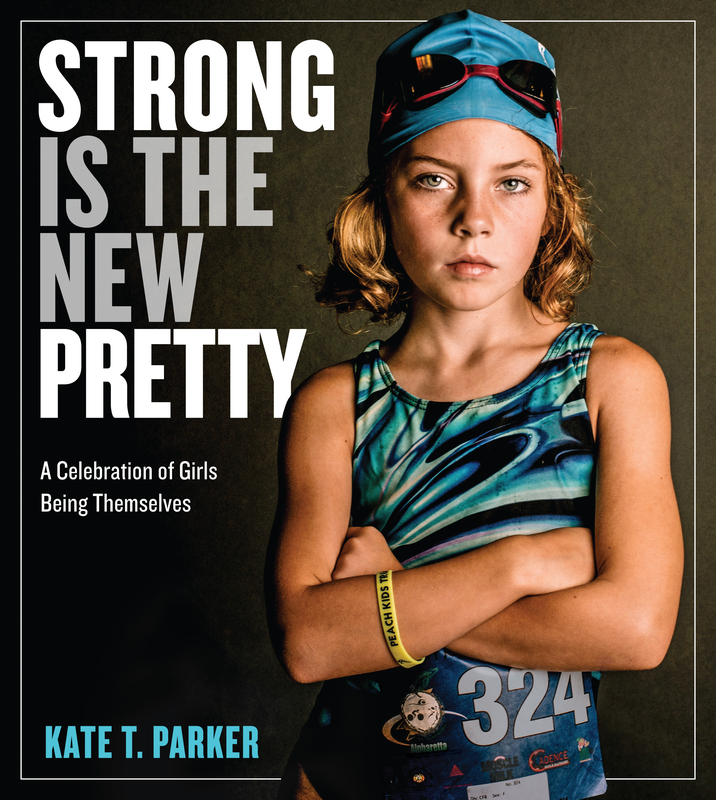 Credit: Strong is the New Pretty by Kate T Parker / Workman Publishing. Danny Pettry comments: I have two nieces: Alyssa (4.5 years old) and Zoe (5-years-old). They don’t know it yet – but I purchased two copies of this book: one for each of them. One of my favorite authors, Beth Revis, had shared a video today title “the ugly truth about children books” that points out that many children books lack strong, brave, female characters. Confident, wild, joyful, fearless, resilient, creative, strong. Girls are all these things, and more. A mother of two loud, messy, freckled, and amazing daughters, Kate T. Parker began taking pictures of her girls in everyday life—biking, playing soccer, discovering tide pools—and quickly came to realize the most resonant images captured her daughters’ true, authentic selves. Striking and fresh, the photos morphed into the Strong Is the New Pretty photography series, which went viral in 2015 and has now been expanded into a book of the same name. having your hair done a certain way, or wearing a certain dress. It is about being yourself. KATE T. PARKER is a mother, wife, former collegiate soccer player, Ironman, and professional photographer who shoots both fine art projects and commercial work for clients across North America. Her Strong Is the New Pretty photo series has led to collaborations with brands like Athleta, Kellogg’s, and Oxygen. The project has also inspired Kate to launch a philanthropic arm of Strong Is the New Pretty, partnering with organizations that invest in girls’ health and education, like Girls on the Run, Glam4Good, and Girls Inc. She lives with her family in Atlanta, Georgia. Her website is katetparker.com. Credit: Strong is the New Pretty by Kate T. Parker/ Workman Publishing. How did the Strong Is the New Pretty photography series start? I am the mother of two young girls, Ella (11) and Alice (8). They are my inspiration for Strong Is the New Pretty. I was photographing them every day and noticed that the images that were strongest and most meaningful to me were the ones where the girls were being themselves, whatever that was at the moment: dirty, feisty, silly, sassy, angry, funny, loud, and louder. They didn’t need to pose a certain way, smile for the camera, or brush their hair to be beautiful. I wanted my girls to know that the images that captured their true personalities showed their beauty. And the images turned into a tool I could use to combat the messages the media often sends to girls and women—that beauty is a particular hairstyle, size, or outfit. What themes emerged as you started taking photos of the girls in the book? 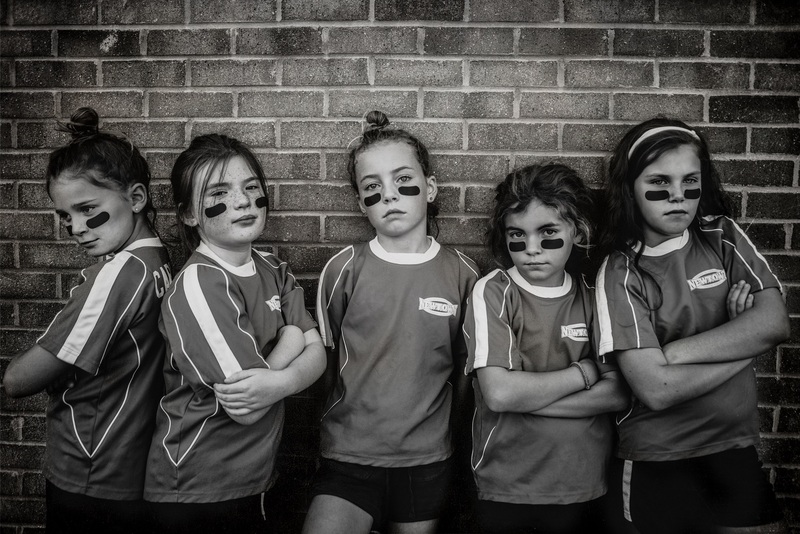 As the project grew, I met and photographed hundreds of girls from all over the country, and I learned that strength doesn’t always come in one package, and it doesn’t always manifest itself the way it does in my girls. Strength isn’t always loud and feisty. 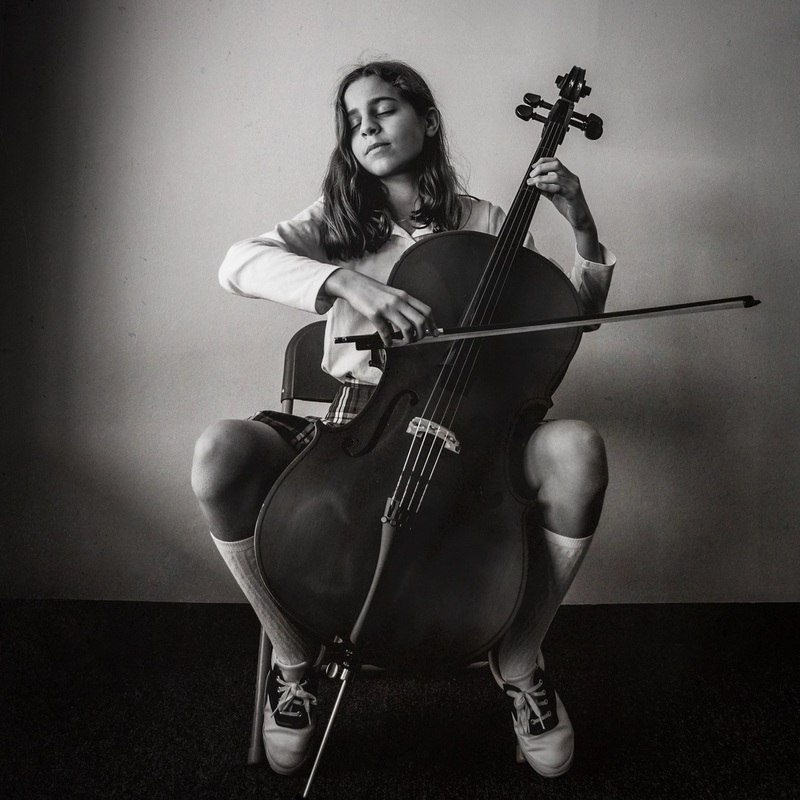 Strength can be in the face of a musician creating music because it is inside her. Strength can be switching tables in the lunchroom because your “friends” aren’t actually your friends. Strength can be meeting a cancer diagnosis with unrelenting positivity. Throughout the making of this book, I was and continue to be so inspired by the girls and young women who are featured between its covers. These are the faces of a new generation of young women who don’t need someone to tell them that it is what is inside that counts because they already know it. How did the subjects in your book find self-confidence, and what lessons would you encourage them to pass along? I think the girls found confidence in being themselves by pursuing their dreams—becoming a gymnast, learning to be a pilot, playing football against the boys—regardless of what others thought. These girls were all brave, but it doesn’t mean that they were fearless. They all were scared. They all wondered what people would think of them. They all worried about how they would look. That kind of fear is within us all. Strength comes when we don’t let it dictate what we do. With the rise of online bullying, images of girls that go viral are too often not positive ones. What advice do you have for young girls when it comes to sharing photos online or letting others take their picture? I always remind my girls that the internet is written in stone. At their young ages, they can’t even comprehend how something posted when they’re a child can follow them around their entire life. Parental involvement is crucial: Speak to your kids about the dangers that are inherent in social media and model how to make good choices. Why is it important for a girl to be wild? Wild girls should be allowed to be wild. Introspective girls should be allowed to be quiet. Funny girls should be allowed to be funny. And girls who are all these things should be allowed to be all these things and find out who and what they are, without boundaries. Giving girls the space, time, and support to find out just who they are, what they like, and ultimately, what they love, is a key responsibility for a parent or mentor. What can a young woman learn from being resilient? We all get down. We all get beat. We all lose a game. We all get a bad grade. It happens to everyone! It’s not how many times something gets in our way or has a negative outcome —it’s how many times we get back in the game and keep working toward our dreams. When we get back up, it’s important to have a good cry, dust ourselves off, and get back in there. Our scars can make us stronger. How do you define creativity, and why is it important to inner strength? Creativity is allowing what is in your heart and soul to come out in a form you can show the world. Mine is photography. I feel confident, creative, alive, and driven when I am shooting a project I believe in. I think we all have something in us that makes us feel that way. It just takes some people longer to figure it out. it took me almost thirty-five years to find mine, but it was worth the wait! How can girls retain their ability to live fearlessly when they graduate into adulthood? Too often, strength is taught or discouraged out of us as we grow up. But strength is like a. The more you exercise it, the easier and more natural it becomes—–even if you have to start by pretending. While on the journey, start small by trying things you normally wouldn’t, and go from there. What were the most surprising acts of independence you saw while documenting the girls in your book? As someone who doesn’t love to fly, I was so impressed with our sixteen-year-old pilot, Aris. She knew what she wanted to do at age 13, took lessons and studied, and has already flown solo. I commend her drive, follow-through and ability to let nothing stand in her way.